During a visit to Calvary Cemetery in north St. Louis a few years ago, I learned about a remarkable event in the history of St. Louis that many people aren’t aware of. Standing off by itself in that beautiful cemetery is a monument that honors four American Indian warriors. Standing over eight feet tall, the granite carving of two eagle feathers was placed in 2003, the result of a campaign initiated by a Nez Perce Tribal historian. Two of the men it honors, Black Eagle and Speaking Eagle, are buried beneath it. It’s there because of a remarkable journey the four men took in 1831, when they traveled over 2,000 miles to St. Louis from present-day Idaho. The purpose of their journey was to meet with a man they knew as the “Great Father”. That man was William Clark, one-half the famous Corps of Discovery duo, Lewis and Clark. In 1831, Clark was living in St. Louis and held the position of Superintendent of the Bureau of Indian Affairs. As I heard the story, the four Indians came to St. Louis in search of the “White Man’s Book of Heaven”(presumably the Bible), and the Indians believed William Clark could help them find it. The Nez Perce knew Clark well, since he and Meriwether Lewis lived with the tribe for more than a month on their journey back from the Pacific Northwest in 1806. The delegation arrived in St. Louis in October 1831. The Indians met with Clark in his home, but over the years, Clark had lost his touch with the Nez Perce language. As a result, communication was impossible. But the Indians decided to remain in St. Louis for several weeks, living in a lodge on the north edge of town and hoping someone would come along and provide what they were looking for. That is, until the two older Indians, Black Eagle and Speaking Eagle, became ill and died. Prior to their deaths, both men were baptized into the Catholic faith. The two men were then interred in the burial ground next to the city’s Cathedral (known today as the “Old Cathedral”). The two younger Indians, No Horns On His Head and Rabbit Skin Leggings, left St. Louis empty-handed the following spring. Sadly, these men met the same fate on their journey home. No Horns On His Head succumbed to disease and Rabbit Skin Leggings fell in a skirmish with Blackfeet Indians. Their final resting places are unknown. Years later, Black Eagle and Speaking Eagle’s remains were relocated to Calvary at some time after the cemetery opened in 1854. Their final resting place was a mystery for decades until Robert Moore, a National Park Service historian, successfully traced them to an unmarked grave in the fall of 2000. By itself, the story of four Indian warriors traveling 2,000 miles to St. Louis 184 years ago is a remarkable one. However, I knew such an idyllic tale of four men seeking God had to have more to it, and I was right. When I decided to dig a bit deeper, I found a much more complicated tale, and several versions of it. Furthermore, I discovered the Indian’s journey in 1831 would have a significant impact on the future of the United States as a whole. The article goes on make an appeal for a “religious awakening” among the distant Indian tribes of the Pacific Northwest. In the early 19th Century, mostly because of the rigorous effort needed to cross the Rocky Mountains, the Oregon Country had been left mostly untouched by Christian missionaries. To support for his cause, Disoway attempts to prove that the “savage tribes” not only need salvation, they desperately want it. That “proof” comes in the way of a letter written by his friend William Walker, a “half-breed” Wyandot (and converted) Indian who had also recently visited William Clark in St. Louis. In the letter, Walker claims that he was introduced to three of the Indians (one had already died) during his visit with Clark. The Indians are described as being “small in size, delicately formed, small hands, and the most exact symmetry throughout, except the head.” Walker goes on to describe the Indians as having flattened foreheads, a practice used by some western tribes to modify the shape of a infant’s head by pressing it between two boards before the skull hardens. Walker further explains in his letter that the four Indians were sent as a delegation from their homeland after a white man had visited them and witnessed them perform a Nez Perce religious ceremony. The white man told the Indians that their method of worship was “radically wrong” and the supreme being would be angered by their method of worship. The visitor then convinced the tribe that white men in the east possessed a “book containing directions on how to conduct themselves”. Soon after, a national council was called. The result was a decision was made to send a delegation to meet with the “Great Father” in St. Louis. The Indians were sure that William Clark could provide them with such a book. According to Walker, when the four men arrived in St. Louis, Clark immediately acknowledged the visitor’s claim. Furthermore, Clark proceeded to give the Indian men a full biblical lesson, including a “succinct history of man, from his creation down to the advent of the Savior”and a full explanation of all of the “moral precepts contained” within. It was a bold move by Disoway to use Walker’s story in his article, because Walker’s story is almost entirely fabricated. Walker was not in St. Louis at the time of the Indians visit, and he certainly never met a single one of the Indians. The most glaring evidence of this is his completely inaccurate physical description of the Indians. The Nez Perce were not small in stature, and despite their name, Flathead Indians did not practice the custom of skull manipulation. In all likelihood, Walker heard about the visit during his own travels and simply decided to make himself a participant in a really good story. But Disoway’s application of Walker’s letter worked perfectly. Within a year of the article’s publication, Oregon Country missionaries were on their way west. At the head of the pack was Reverend Jason Lee, a Methodist minister from New York. Within just a few years, the Pacific Northwest was inundated with Protestant missionaries and Jesuit priests spreading the word of God in one form or another. A notable contradiction to Walker’s letter (and the subsequent “lament”) is provided by Bishop Joseph Rosati, the first Bishop of the St. Louis Diocese. In December 1931, Rosati wrote a letter detailing the visit at the same time it happened. Contrary to Walker’s account, Rosati details the struggle communicating with the men, including his own six-week (and unsuccessful) search for an interpreter. In contrast to the Protestant-based version of G.P. Disoway, Rosati’s letter introduces the Catholic argument in why the Indians came to St. Louis. Most significantly, Rosati details Black Eagle and Speaking Eagle’s satisfaction with being “administered the sacrament” prior to their deaths. Risati’s entry into this story is significant because in the years following the Indian visit, Catholics and Protestants (and even Mormons) argued over which branch of Christianity the four Indians were really looking for. Even as late as 1920, Reverend J. Rothsteiner argues the Indian visit was entirely Catholic in nature. Rothsteiner argues the Indians did not seek a “black book”, since a copy of the Bible is something that was surely available to give. Instead, what Clark couldn’t give them was a “Black gown”, or a Jesuit priest that could travel back with the four men to the Oregon Country. This version of the story, that western Indians actually sought Jesuit teachers, is reinforced by the work of another notable St. Louisan, Father Pierre-Jean DeSmet. In 1841, DeSmet founded the St. Mary’s Mission among the Salish Indians in present-day Montana. Today, Father DeSmet’s final resting place is not far from where the Indian monument stands in Calvary Cemetery. Of course, the Indian version of the visit is as important, if not more so, than any other. In an interview with Tim Woodward of the Idaho Statesman in 2002, Nez Perce Tribal Council Member (and Black Eagle descendant) Allen Pinkham rejects the view that the warriors were seeking religion. He adds that a “black book” could have meant a multitude of things, and most likely it was meant as a way to record and a convey knowledge. Even the monument that stands today in Calvary Cemetery offers a different version than Disoway or Rosati. Inscribed on the base, its stated that the Indian men sought information about the “Book of Heaven” and the religion of a group of people encroaching on their homeland. Nailing down a definitive reason for the Indian’s visit is something more suited to a different forum, but it must be mentioned here what the lasting impact was. As historian Francis Haines writes in 1937, the missions founded in Washington, Idaho, and Montana in the 1830’s and 1840’s are a direct result of the publication of Walker’s account of the Indian visit in 1831. Haines isn’t alone in his assessment. Nearly every account and history of the Indian’s journey (including the Indian version) agrees that the missionary movement to the Pacific Northwest was triggered as a result. And it goes even further. A secondary impact can be seen just by looking at a map of the United States today. The permanent American presence in the Pacific Northwest, which began with explorers and fur traders, was secured by the missionaries that arrived after 1831. In 1846, when Great Britain and the United States finally decided sit down and work out their Oregon border dispute (without any Indian input, of course), British hopes of controlling even the northern bank of the Columbia River had long-since disappeared. The Americans were already there, and they weren’t moving. As a result, the border between the United States and British Canada was set at the 49th parallel, where it stands today. 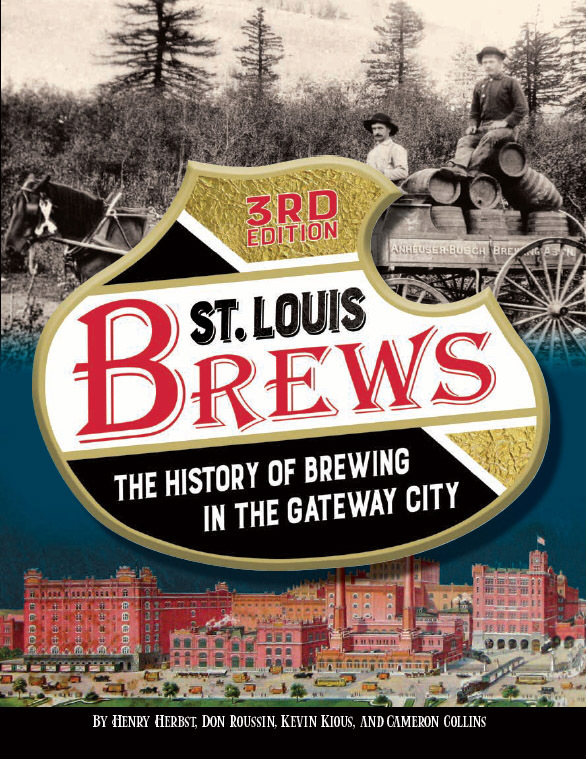 I love history topics like this one because they allow me to boast about historical events that St. Louis has taken part in. Even if St. Louis played a minor role, I still look forward to telling friends in Portland and Seattle that if it wasn’t for St. Louis, they’d be living in Canada. That’s probably a stretch, but it’s certainly more realistic than the “Indian’s lament” that Henry Spalding gave us in 1866. Anyway, It’s a perfect example of the kind of fun I like to have with good history. Alcohol can be a difficult topic when it comes to Indian history, but I still think its appropriate that I raise my glass and offer a toast to the four Indian Warriors who came to St. Louis in 1831. To do so, I found a nice whiskey distilled in Spokane, Washington, which is not far from where the Indians likely started their journey. And finally, consider making a trip to Calvary Cemetery to see the monument that honors the four men. It’s a beautiful monument, as I found out by writing this post, a thought-provoking one. Excellent research and writing as always! Thank you! I am always excited to see a new distilled history post…. Great article, but you have a typo or incomplete sentence in there. A great read. When my Nez Perce wife and I are in St. Louis on Seotember 9th for Eddie Gaedel Bobblehead Night at Busch Stadium, we will plan a trip to the graves of her two tribal members.